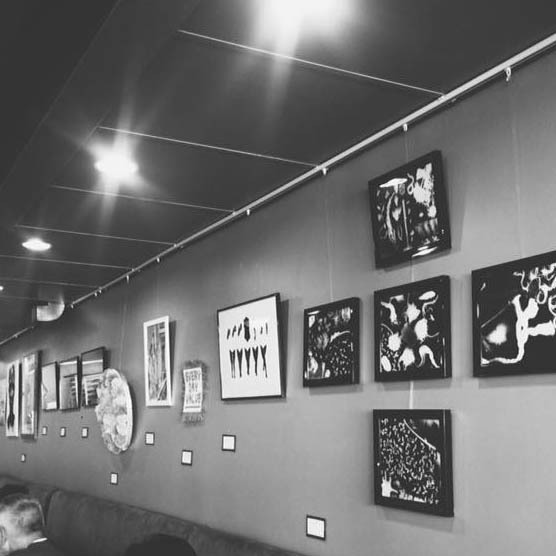 The Penny Coffee House Gallery is a place where work by local artists is curated and hung for the community to enjoy. 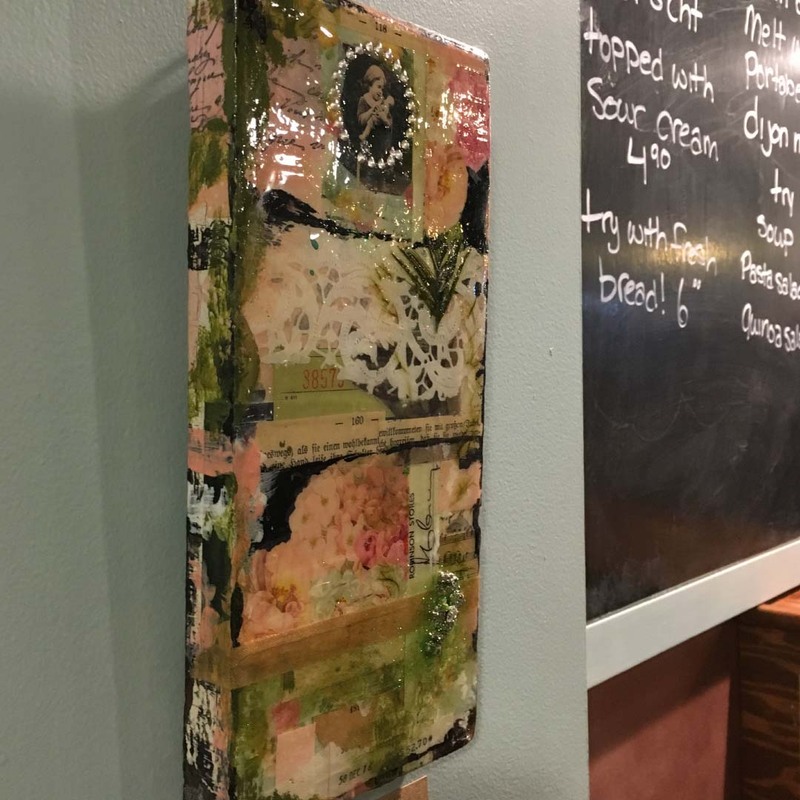 We believe art on display in a public space enriches a community. 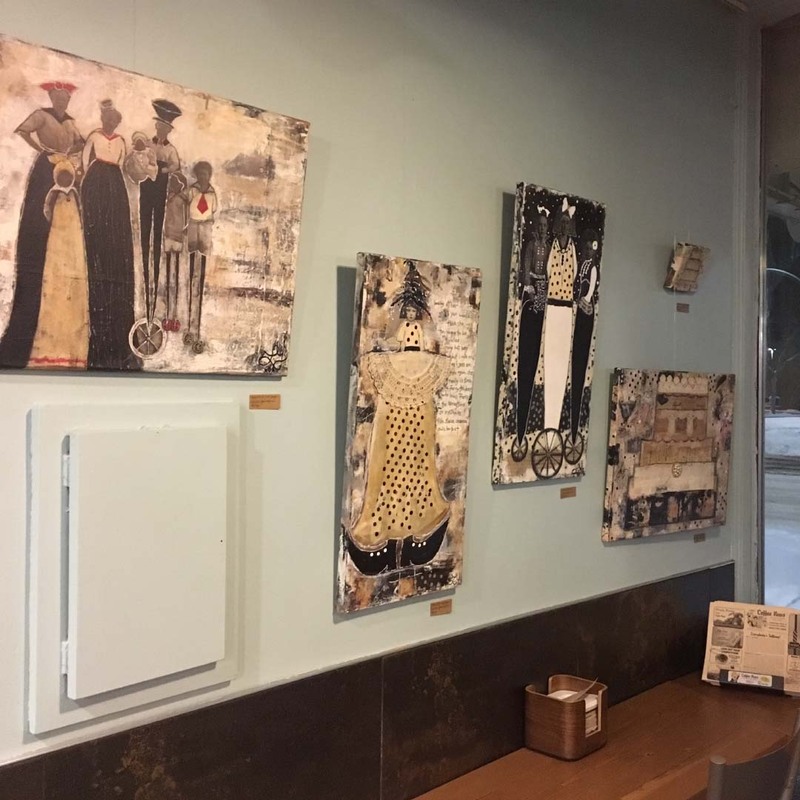 We love meeting artists from the Lethbridge area, and are proud to hang their works on our walls. If you’re an artist interested in submitting your work for consideration, please download this PDF for more information. We can’t wait to meet you! 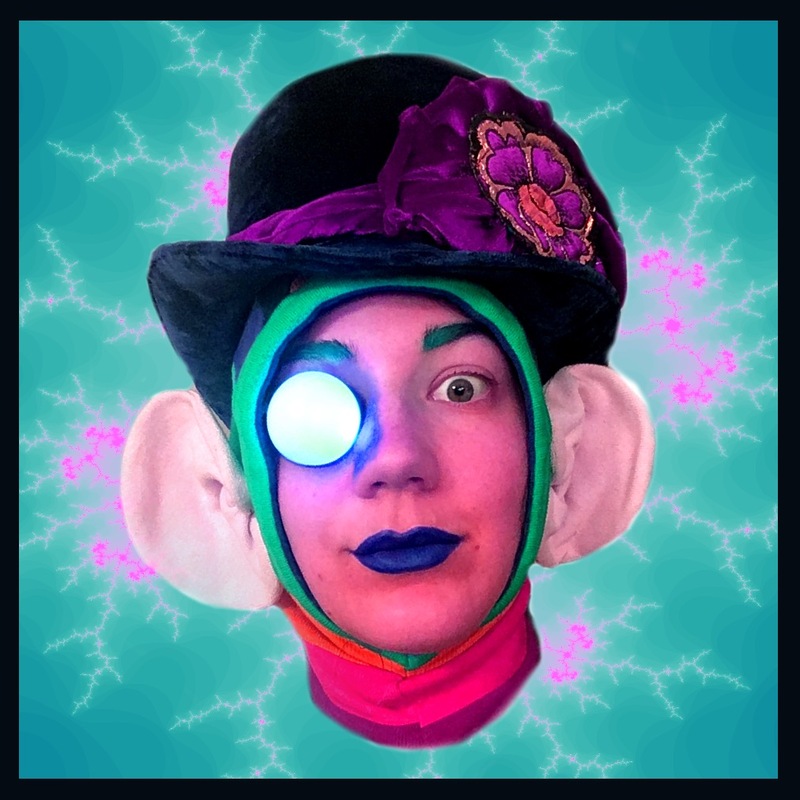 Amy is a multidisciplinary visual artist. She has a long standing interest in the occult which influences most of her work. 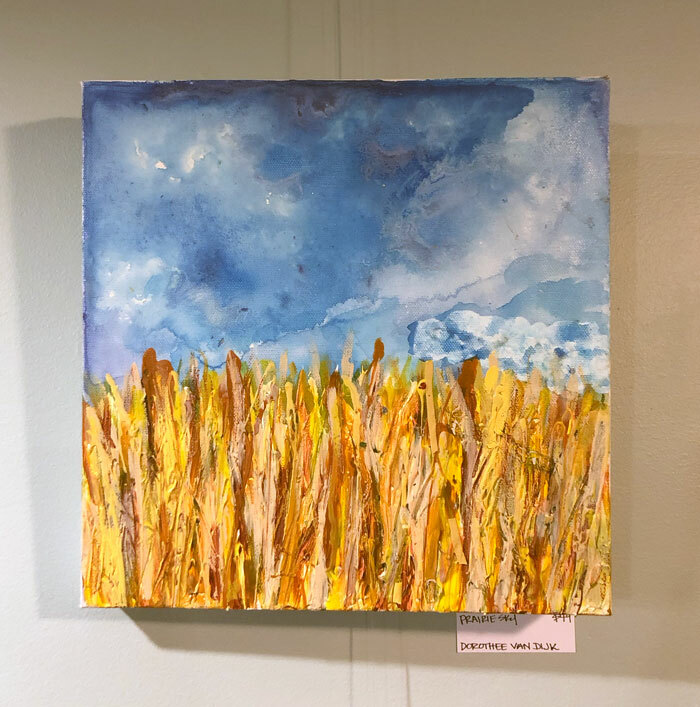 Originally from Toronto, Amy moved to Lethbridge about a decade ago, inspired by the rustic beauty of the prairie and mountain landscapes. Having been creative since childhood, Amy’s style grew to combine her love of illustration with taxidermy as well as botanicals and ancient symbolism. She also has a short background in tattooing and while not presently working in that field, is very interested to find a mentor willing to take her on as an apprentice this coming year. 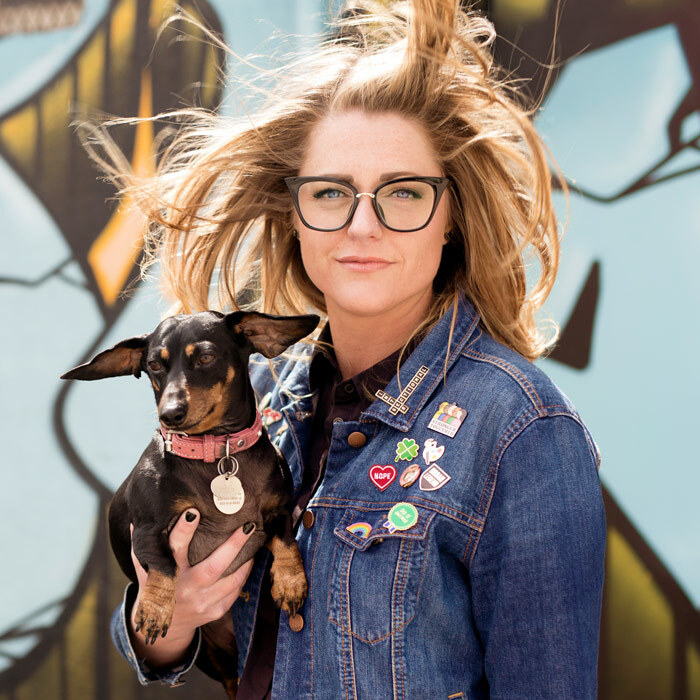 Her work has been used in various local musicians’ album art, as tattoo reference, as tattoos themselves, her work has also been displayed at the Slice Bar & Grill as well as a handful of local shows by the local group: Guerrilla Art Collective. 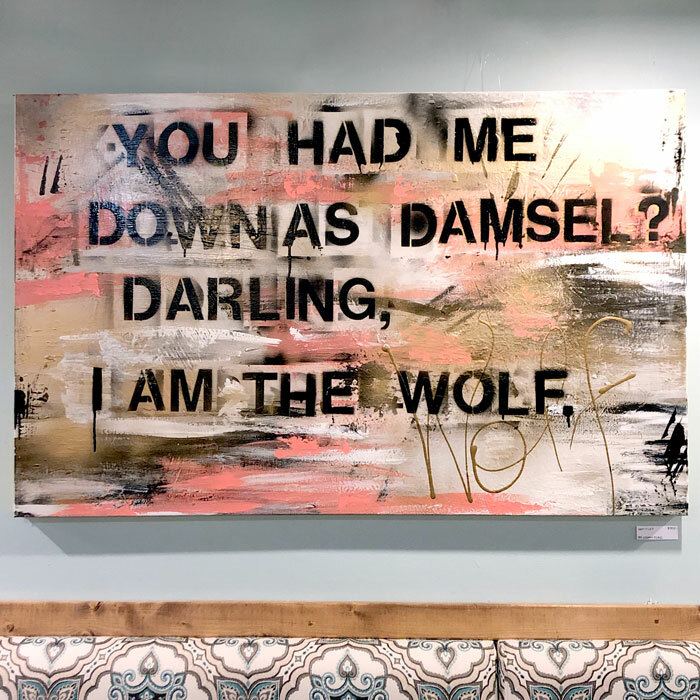 Amy created Guerrilla Art Collective as a means for local artists wishing to gain experience as well as connection with potential buyers. The first show in September 2018 was a success, followed by a second in November. To this day the group remains a unit with plans for a third show in late spring 2019. Amy is always open to commissions and you can contact and find many of her pieces displayed digitally on Instagram under the handle @starvingartistamy. 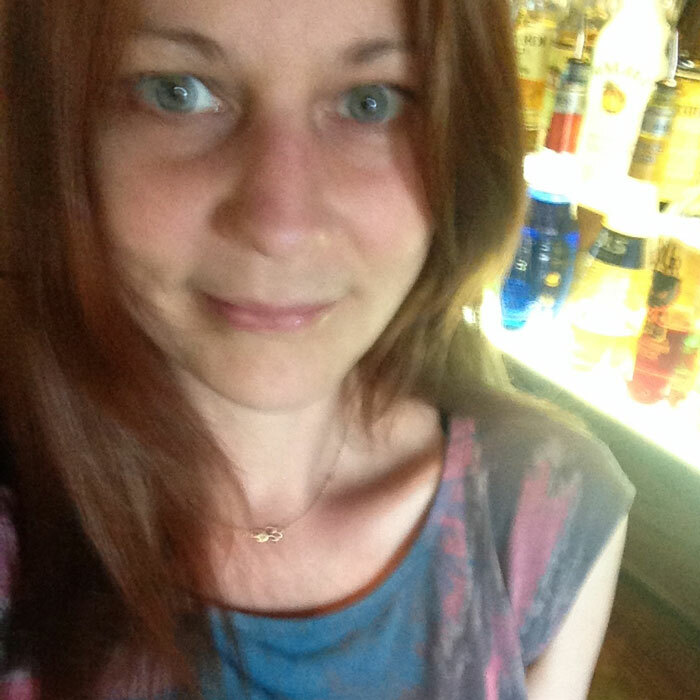 Originally from Calgary, AB, Michelle has been in Lethbridge since 2010. She works primarily as a freelance graphic designer, creating print and digital designs for her clients. 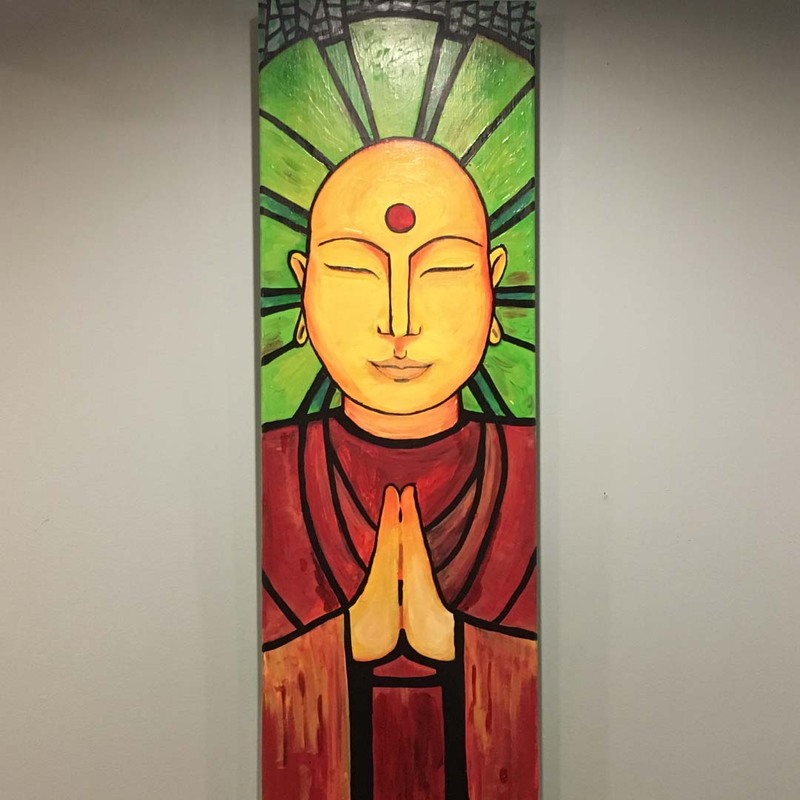 When not creating on her computer, she loves to paint bright, colourful folk art. 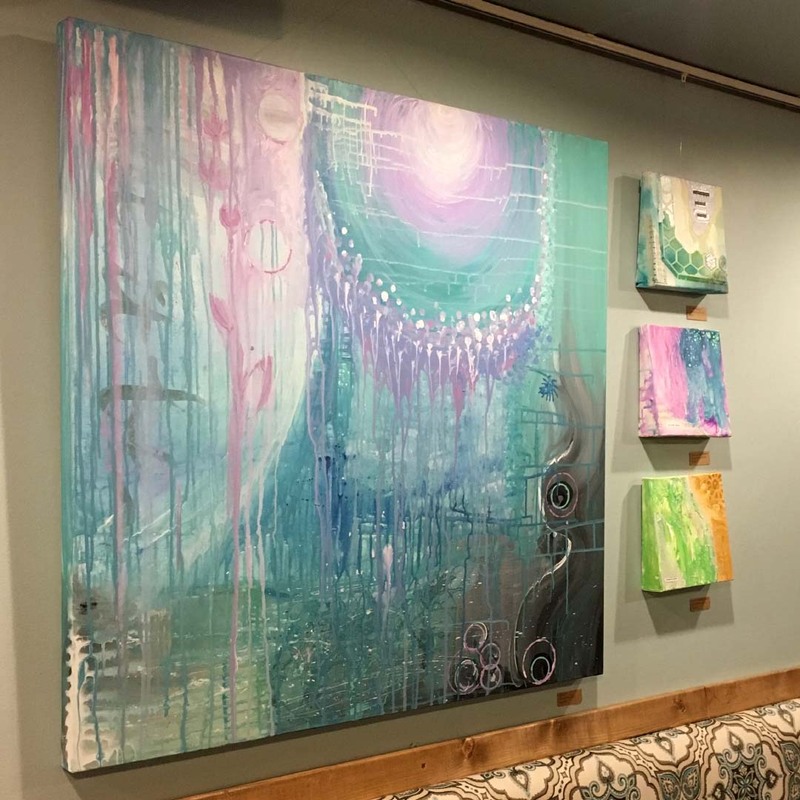 Her art has been displayed at the Penny Coffee House, Mocha Cabana (mural), at the She Boutique during ArtWalk 2017, at the Allied Arts Council office, and in a private show at Casa in 2015 (10x10x52). 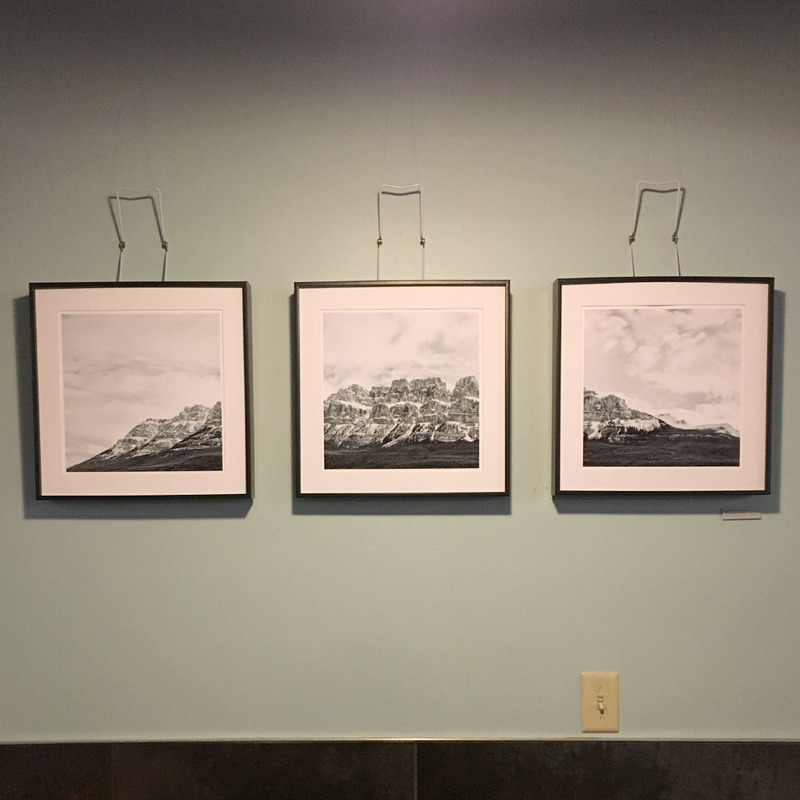 A member of the Lethbridge Figure Drawing Group, her work ‘Escape with Compassion’ was on display at the Trianon show ‘The Figure in Relationship‘, and can now be viewed online. 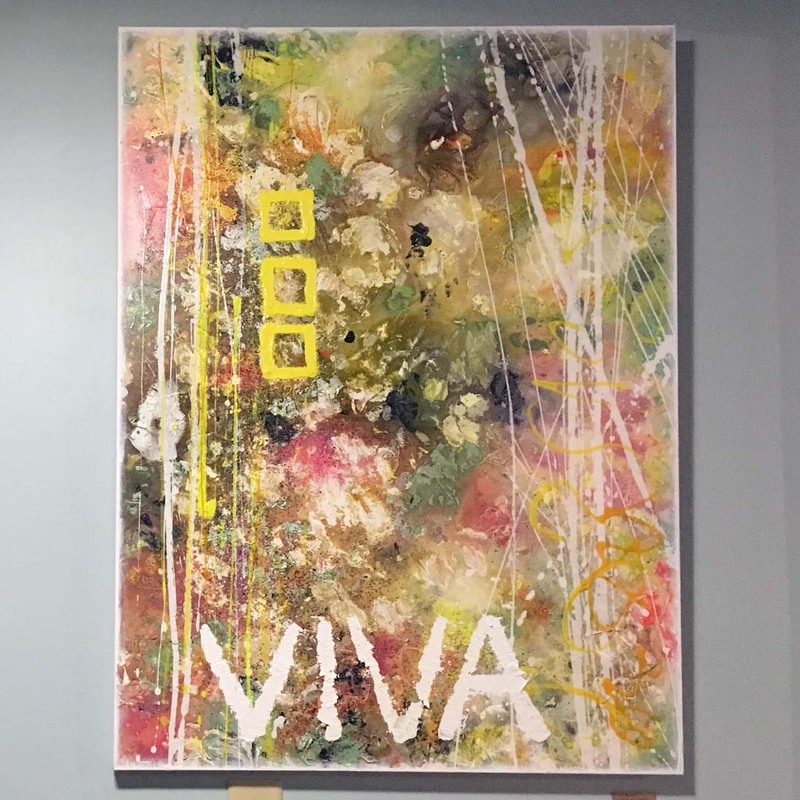 Michelle loves volunteering for arts-related events with the Allied Arts Council, where she served a 3-year term on the board from 2014 – 2017, and is also currently serving as volunteer curator for The Penny Coffee House Gallery. These days Michelle spends her spare time hanging out with her pup Annie, her stepson Kían, or booting around on her motorcycle. Andrea grew up on a farm in Hays, AB, and is currently a Math Major at the UofL. Her passions are varied—since she was a kid, she’s always had a camera in her hands, capturing the beauty of her surroundings. 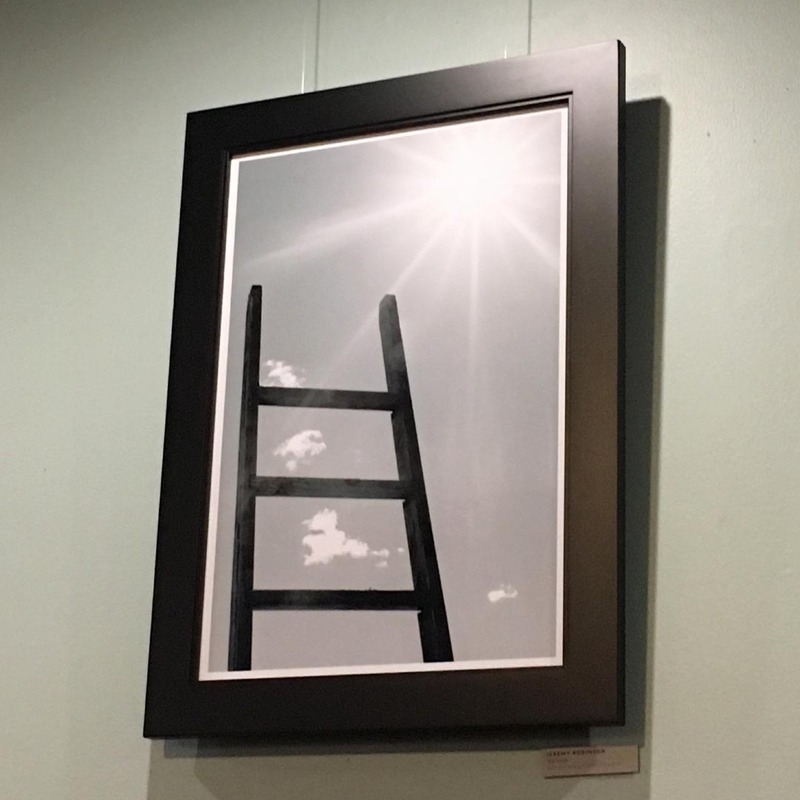 Passionate about photography as a craft, she loves to photograph ‘anything and everything’, including families, graduates, lifestyle, landscapes, and animals. 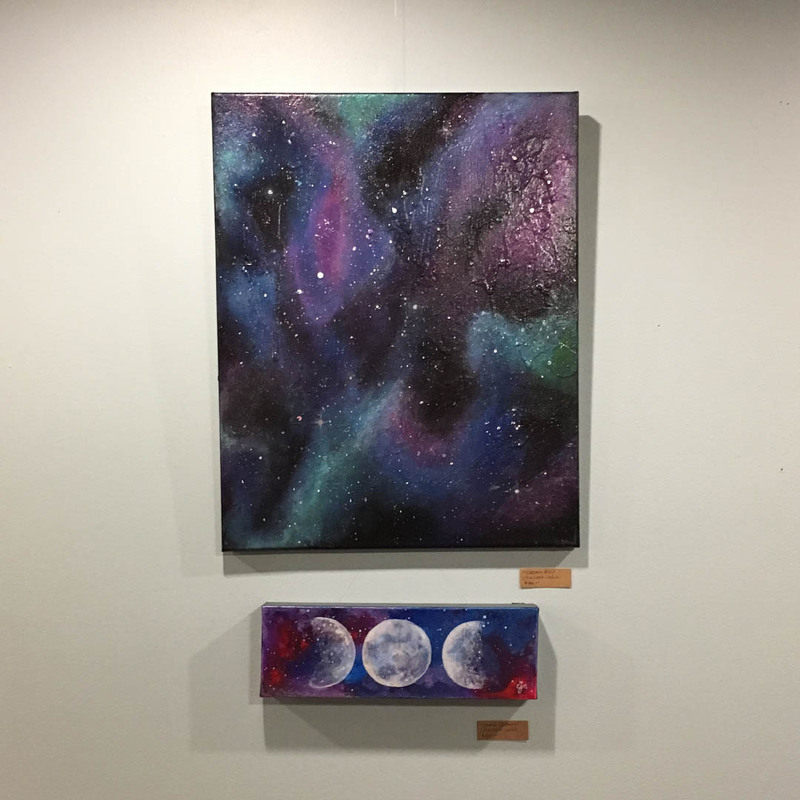 To view her work, check out her social profiles above! 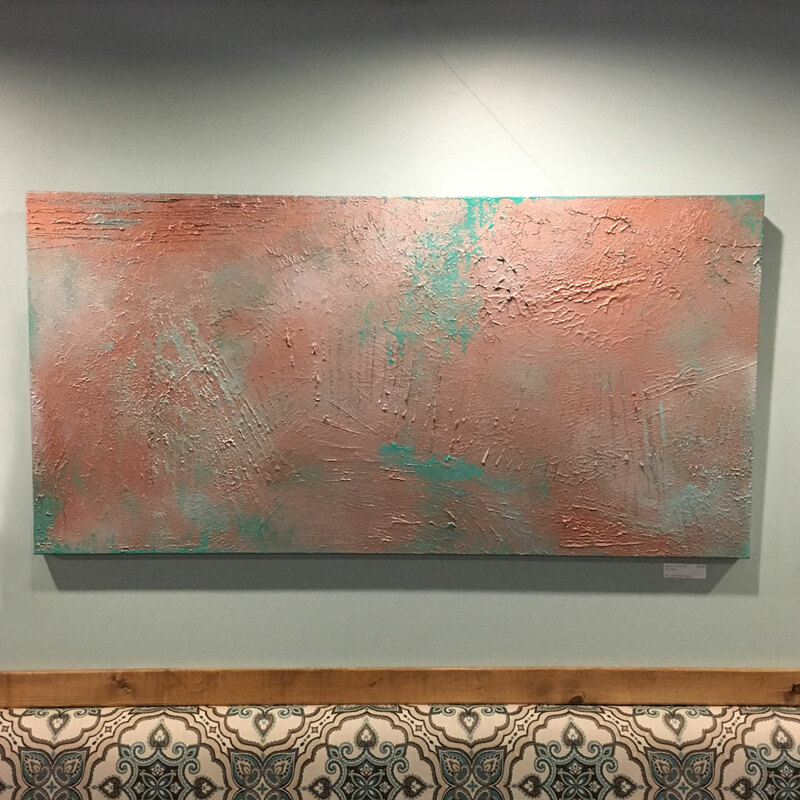 Oshan is a self-taught abstract artist who demonstrates her passion for travel and the natural landscape in much of her work. Oshan grew up in Southern Alberta and has been creative since she was a little girl. 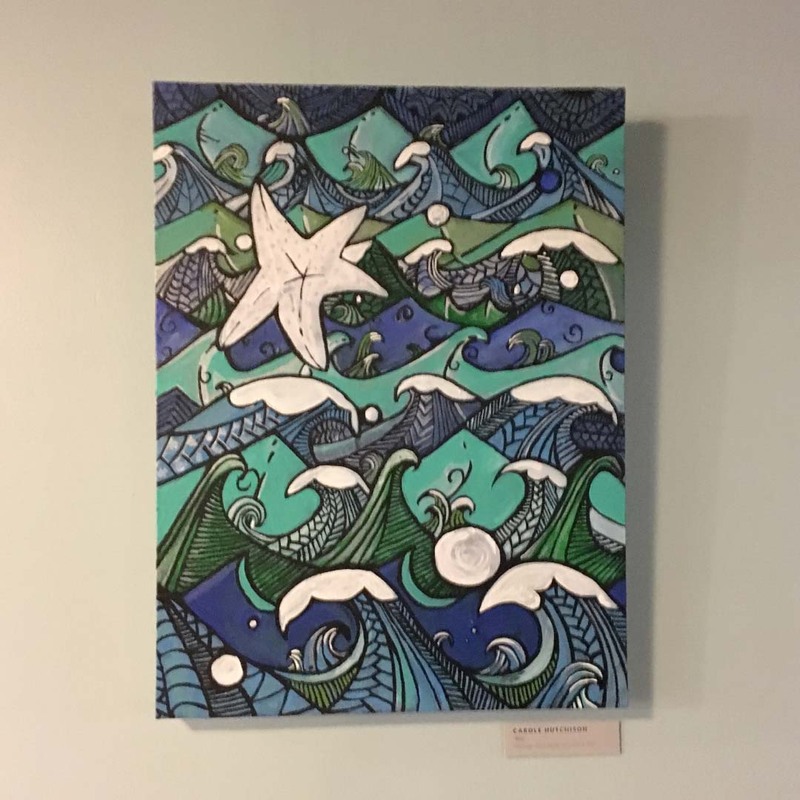 She found her true passion in abstract art while living in Victoria, British Columbia almost a decade ago and hasn’t put down her paintbrush since. 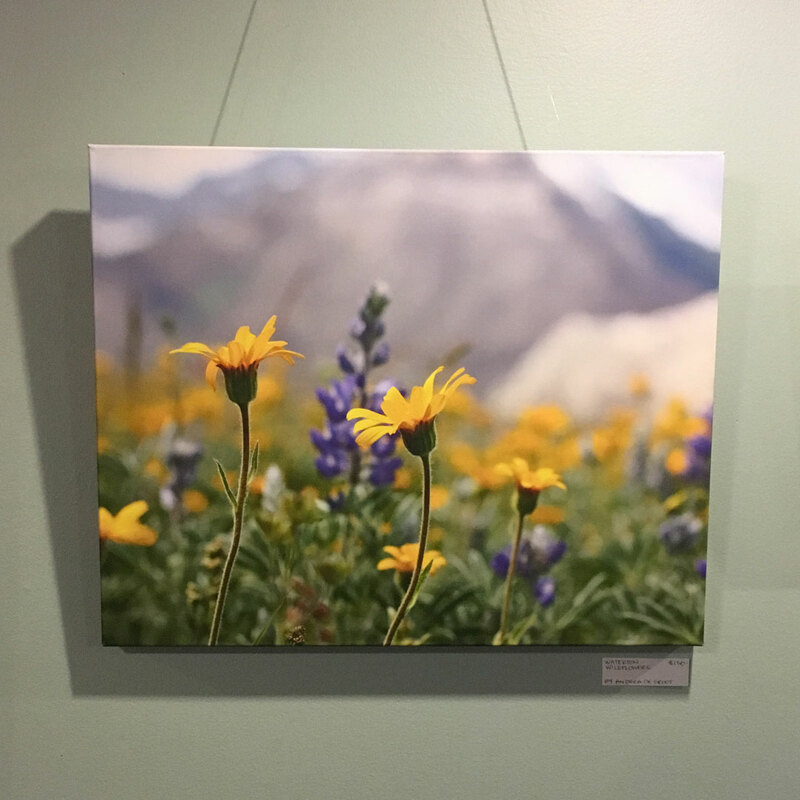 Her work has been displayed at the Urban Prairie Antique Mall in Lethbridge and currently is featured at both Owl Acoustic Lounge and The Penny Coffee House. Oshan has sold her pieces across North America. 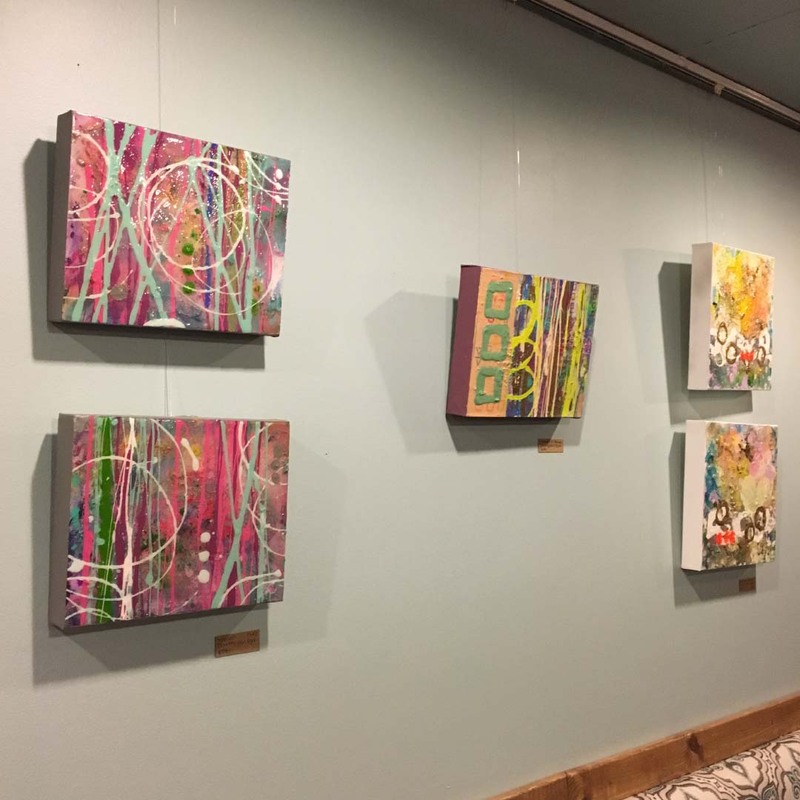 She is also part of the Guerrilla Art Collective, a small group of Lethbridge artists who produced their first art show in September 2018 with another show already in the works. 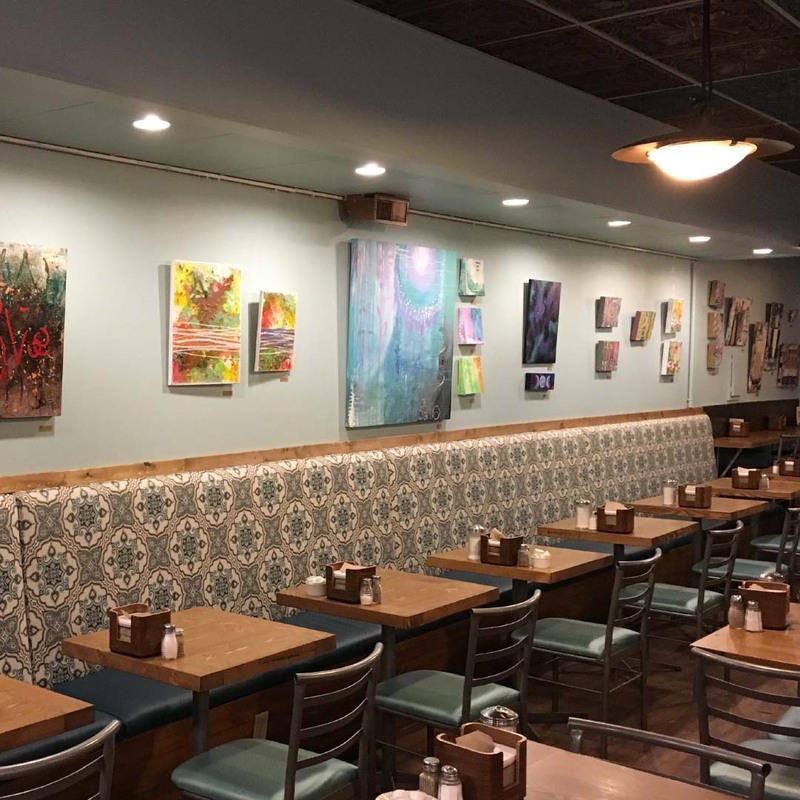 Carole is an accomplished local artist who creates custom art featuring an array of different subjects and mediums. 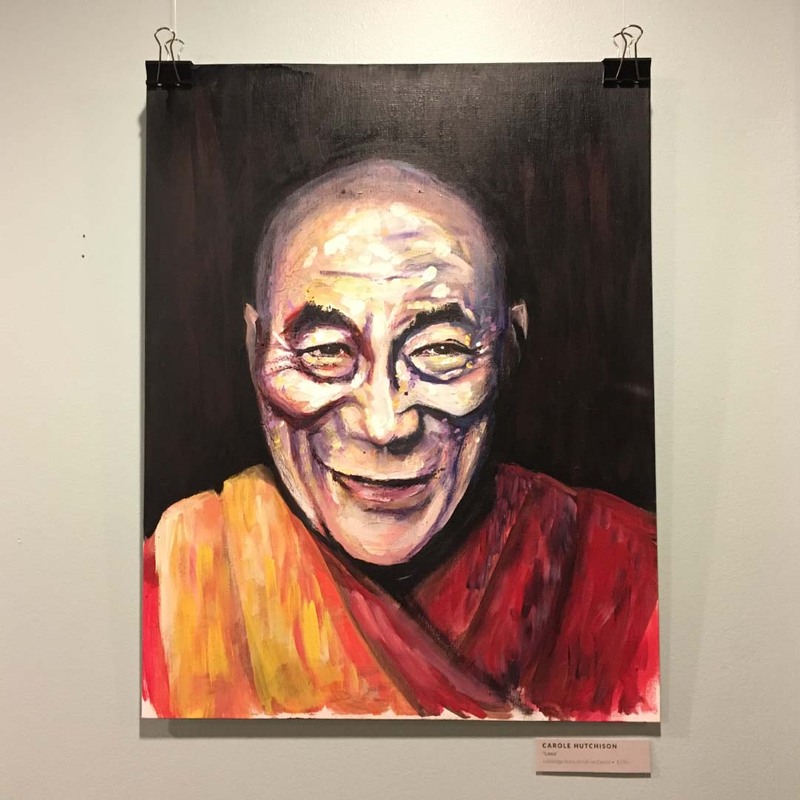 By far some of her most popular pieces have been of Buddha which sell quickly at the yearly auction held at the Galt Museum for “Helping Families Handle Cancer”, a charity organization which raises money to aid the families of children battling cancer. Carole is currently both a donor and a board member. Carole primarily works in Acrylic, although many of her earlier work was done in charcoal. All of her past and present pieces can be found on her website www.carolescolours.com , where prints and products are available for sale. Carole uses painting to meditate and relax. When she isn’t working or in her studio she enjoys spending time with her family, watching movies and playing with her dogs. 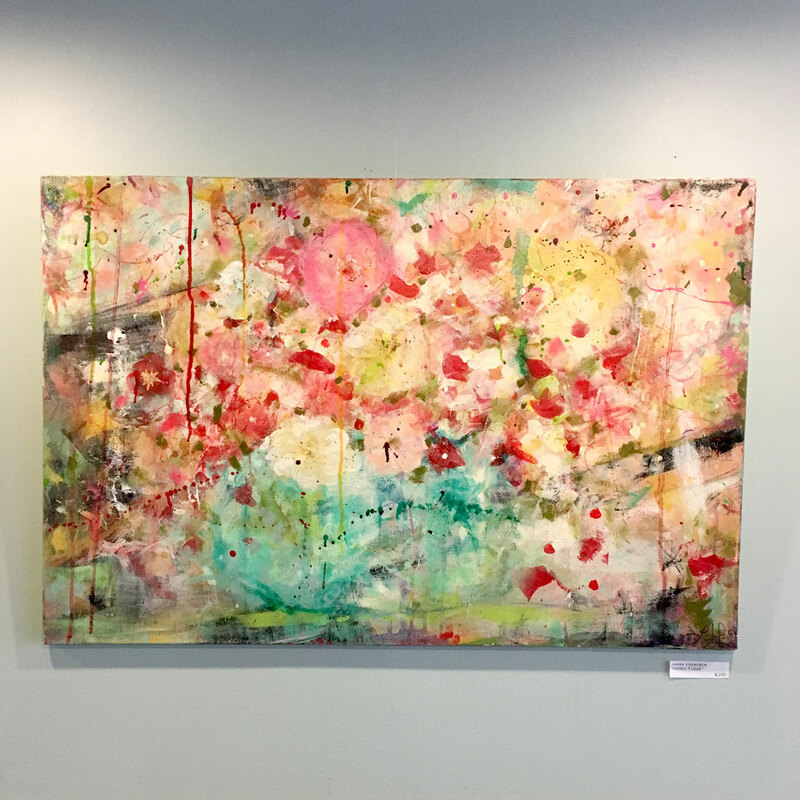 On the path of self-discovery and creative expression since an early age, Charlene ‘Cj’ Julie has continually found herself combining curiosities of the two in various processes and mediums, uncovering the connectedness of creation and evolution in a subtle yet powerful way. 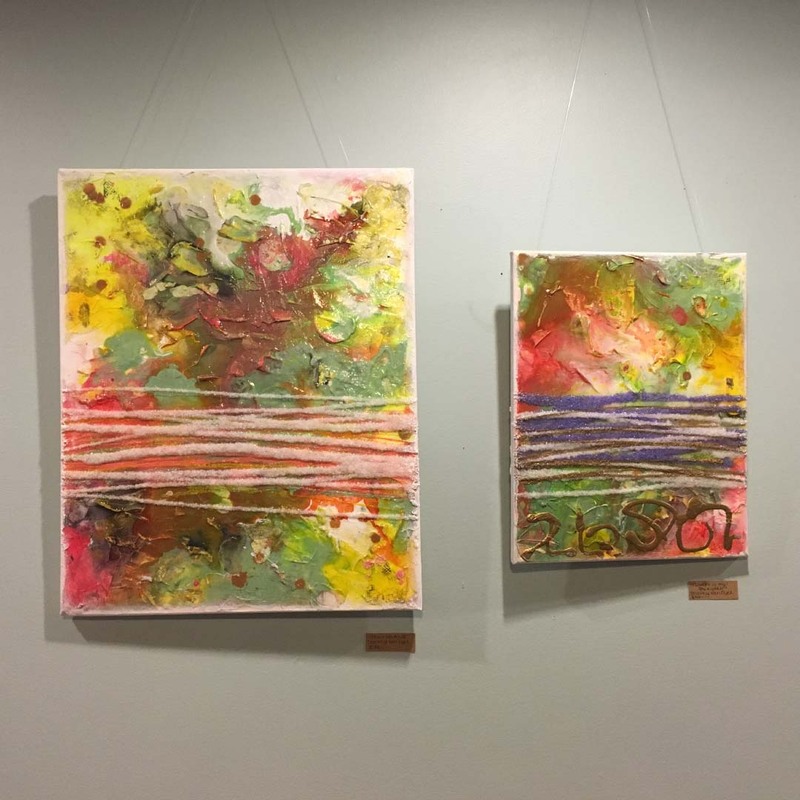 Often infusing mixed-media abstract-esque art with movement and meditation, her work can be known to evoke unique reflections in the viewer as it is interpreted. 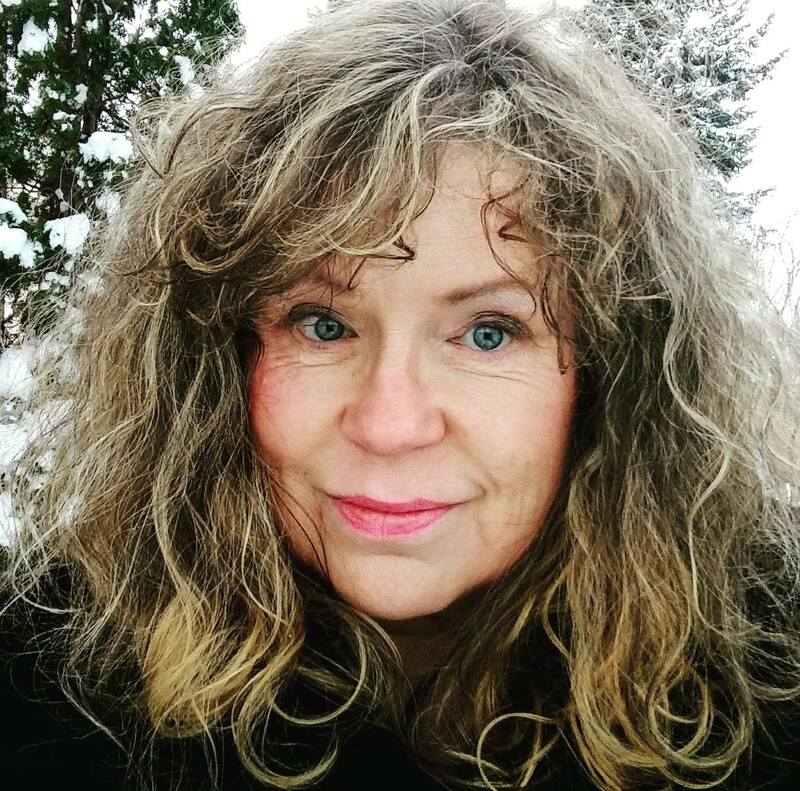 In 2014, after graduating from the Communication Arts program at Lethbridge College – while realizing how she had benefitted so deeply from her experiences of approaching art as a healing modality – she responded to the call to lead others on their own journey of creative exploration. 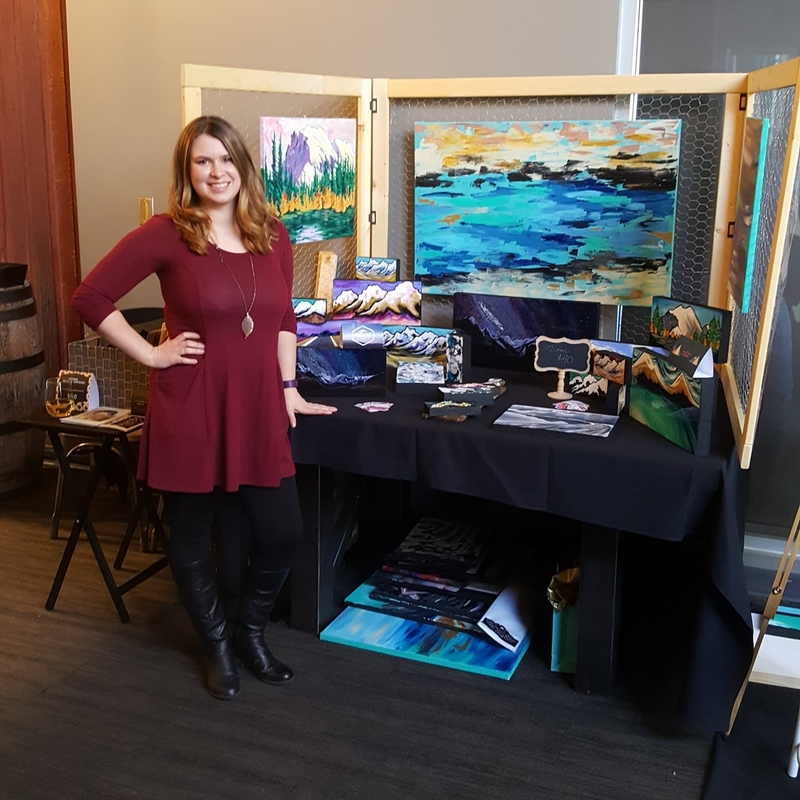 Cj can be found at Smudge Art Studio in Lethbridge, where she teaches art parties, classes, workshops and camps for artists of all ages, encouraging and easing others into enjoying their own personal creative process. To create with Smudge, visit www.smudgeart.ca. For original art, hand-crafted jewelry and wire-wrapped crystals, find Cj on Facebook at Charlene Julie (www.facebook.com/CharleneJulieART) and on Instagram @CharleneJulie. 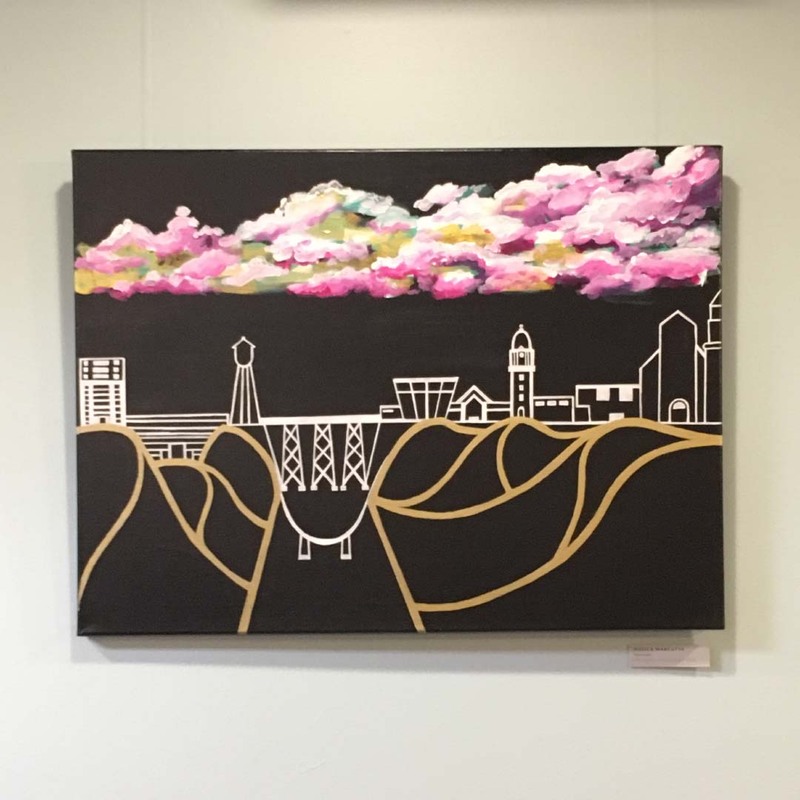 Nature and Landscape are the inspiration for Jessica’s art. 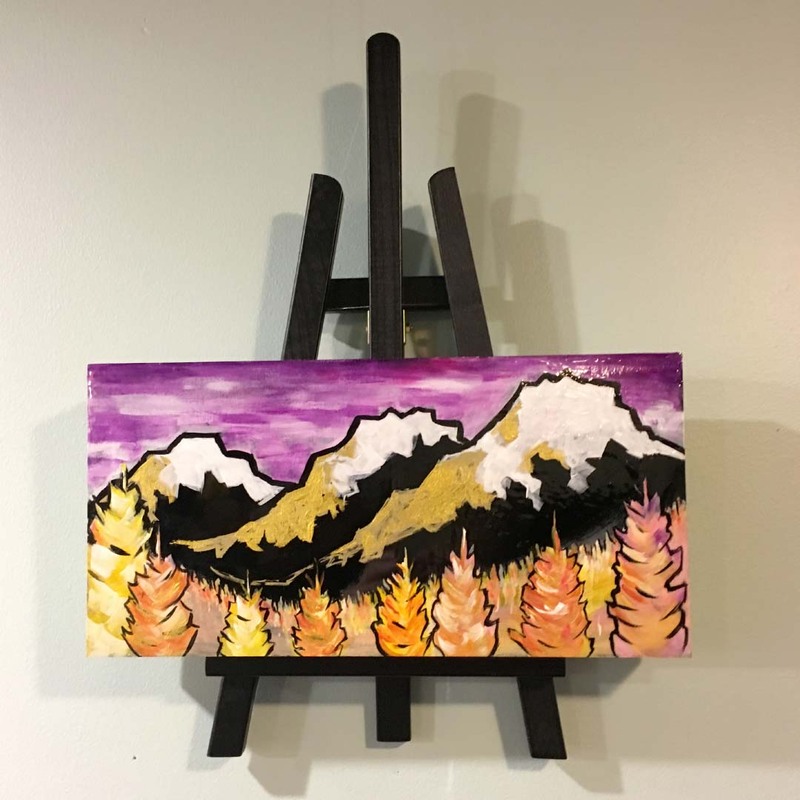 Living in Alberta, the big prairie sky and mountains are always calling her to paint. I use a variety of mediums to create. My studio drawers are crammed with acrylic paints, markers, and pencils. My cupboards over flowing with wood, paper and mounted canvas. My work is often stylized with bold contrasting colours and high gloss finishes to emphasize the vibrancy of my favourite colours. My love of art extends to teaching. 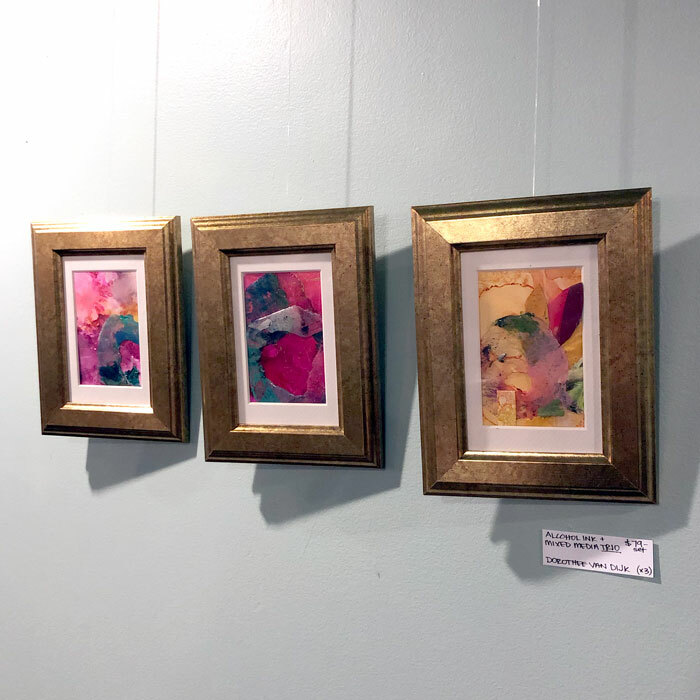 I love connecting with people through my workshops and helping others build confidence with their own artistic expression. She invites you to join her at a painting workshop or at her next market. Her work is also available for purchase at the Lebel Mansion in Pincher Creek, Alberta, or at her online shop: artbyjessicamarcotte.com/shop/. 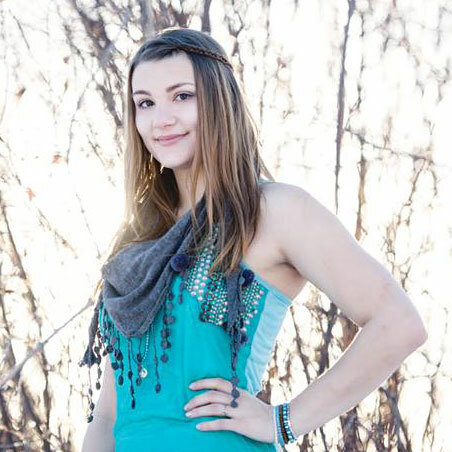 Katt Panic is a professional makeup artist based in Southern Alberta. 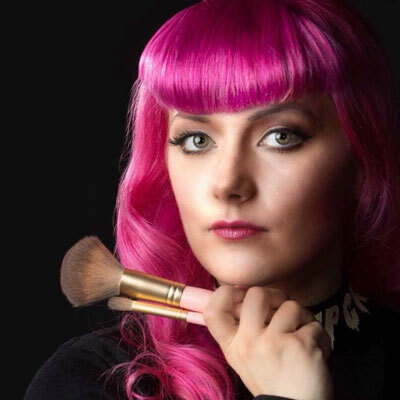 She works in the film industry, and runs her makeup business in Lethbridge, providing event/photoshoot/television makeup, face painting, salon services, makeup parties, and lessons to clients. Check out her YouTube channel to for makeup tutorials! She has been an artist her entire life, painting and sculpting in her spare time. Her background is in visual arts and costume design, and she started her career in theatre and fashion. Her film work includes assisting in cult classics like Herschel Gordon Lewis’ BLOODMANIA, and assisting on festival favourite STILL BORN. For her complete film CV, check out her IMDB account (above). 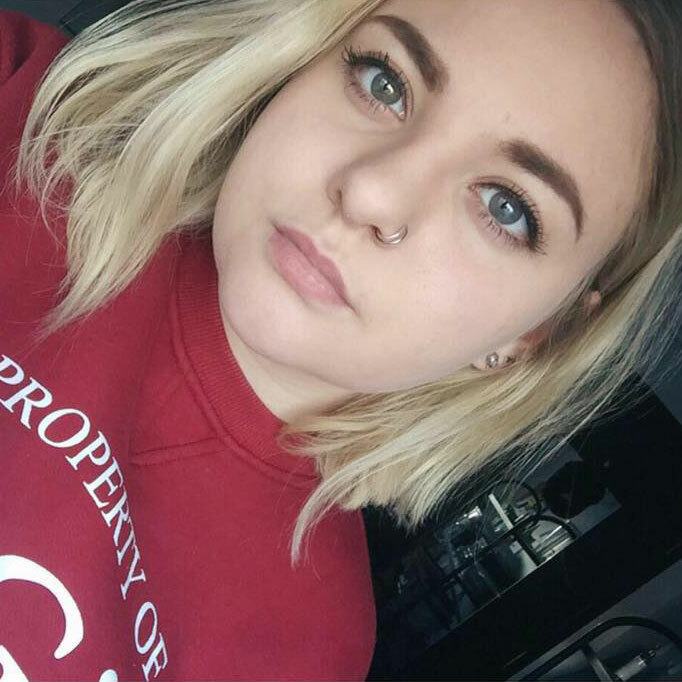 Katt is active in the community, an animal lover, vegan, has two cats named Lydia and Grimm, and a siberian husky named Acoona. She also makes a mean vegan al pastor taco, and loves horror movies. Lexi Pendzich loves photography. When travelling she fills her luggage with rolls of 35mm film. Her photographic works explore the lightness of adventure – scenes she’s stepped into, captured & placed in a creative capsule. Jeremy’s father worked as a part time photographer with his Canon FTb, which is where his fascination with photography began. There was something exciting and romantic about the whole process, from getting the shot to many hours developing prints in the dark room. 25 years later, Jeremy took the same Canon FTb to India and captured his travels on film. 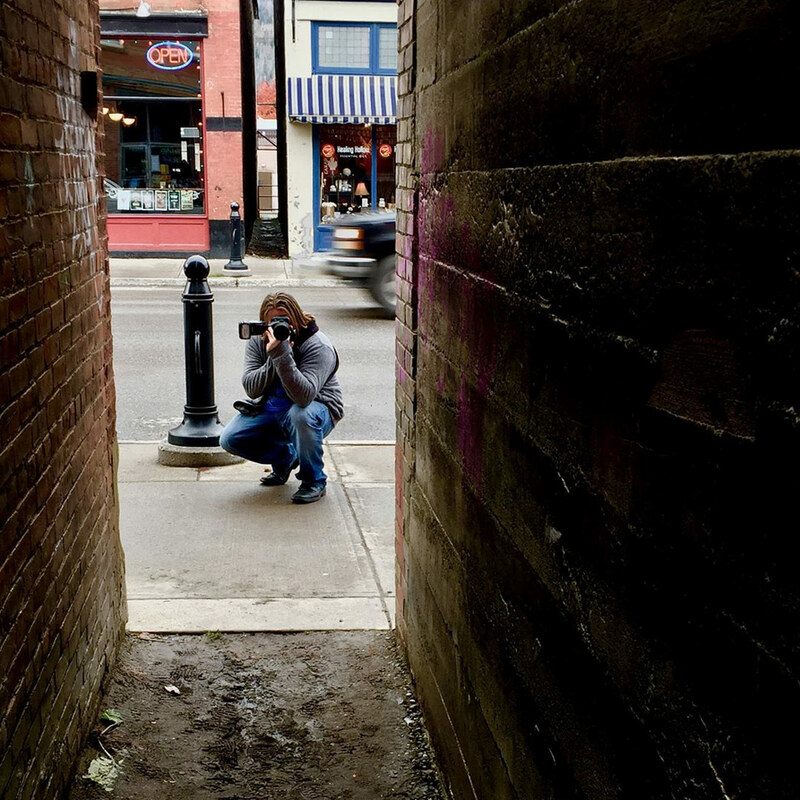 This reignited his interest and inspired him to keep shooting. Today, he still shoots with a full frame Canon, just in megapixels. As he continues to study accomplished artists, past and present, the learning and growing continues, along with great appreciation for the masters. As he’s been exploring and learning, portrait photography has revealed itself as his passion. If you need a headshot or would like a photo booth at your event, head over to jeremyrobinson.photo and get in touch. Dryden Roesch is an artist and graphic designer from Edmonton, Alberta, and an alumnus of the University of Lethbridge New Media BFA program. 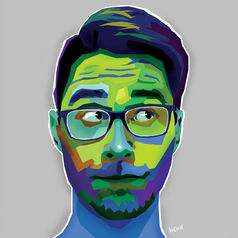 His varying interests are in graphic design, illustration, and photography. 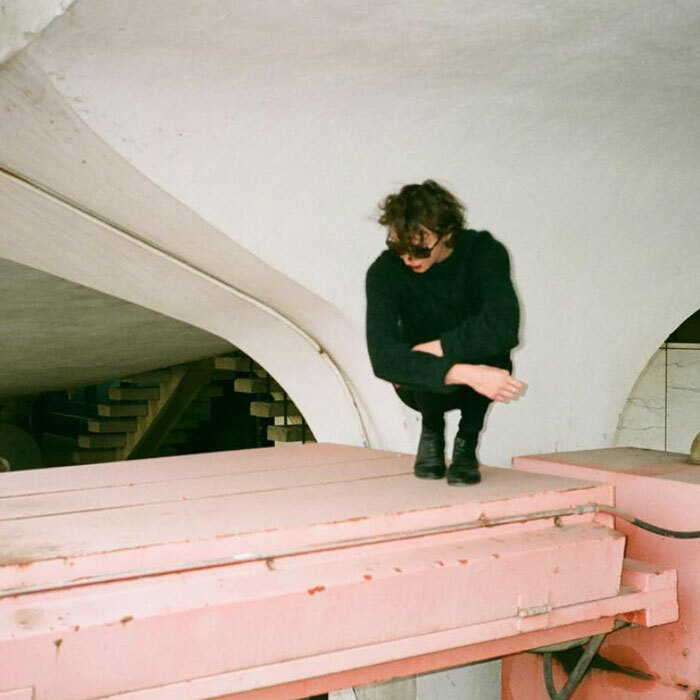 After interning at the Galt Museum & Archives, he relocated to London, England, in 2017 and worked at the Hayward Gallery. This year, he has returned to Canada to contribute his skills to Canadian cultural institutions. Cat is an artist currently based in Lethbridge, AB. 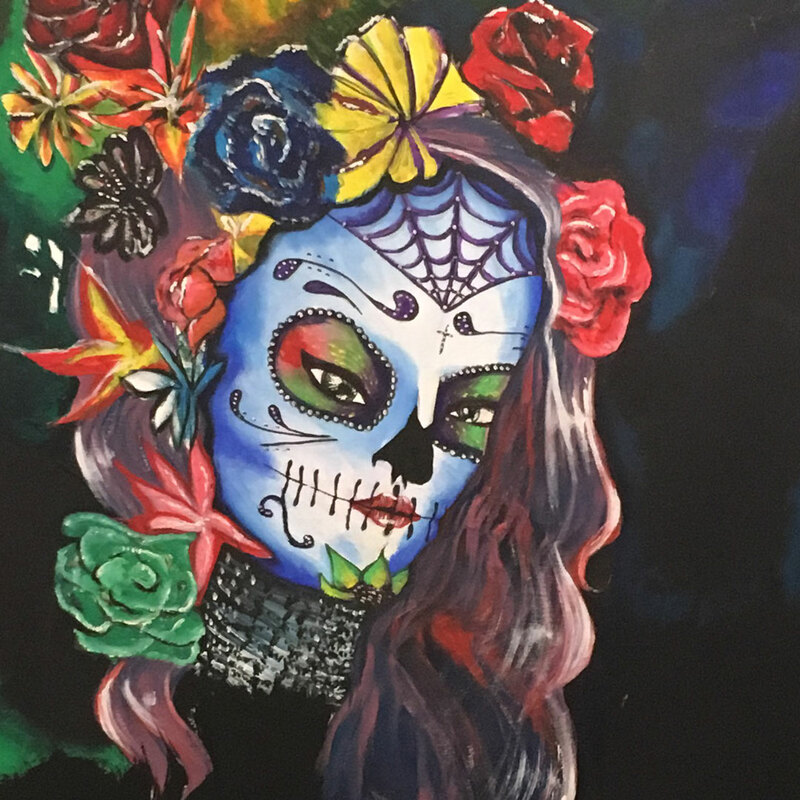 She started painting in high school and recently began to completely immerse herself in art. My name is Cat and I am a crafting robot from another dimension’s future! I recently became a full time artist and Twitch streamer (catdog3000) after studying environmental science for 8 years. I am still developing my style but I like the weird and the colourful! Cat’s ultimate mission is to create large sculptures out of trash and have them peppered all over the planet. 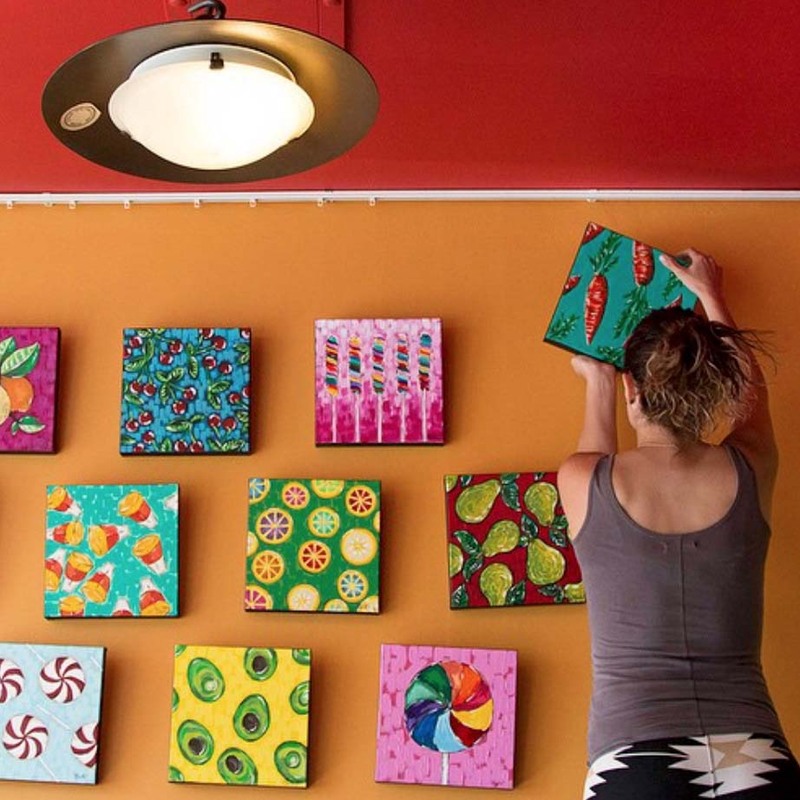 The art she makes from garbage or thrift store items are named ‘trash mutations’. With her other creations she tries to use the most environmentally friendly products she can find. For packaging, recycled paper and cardboard is used. 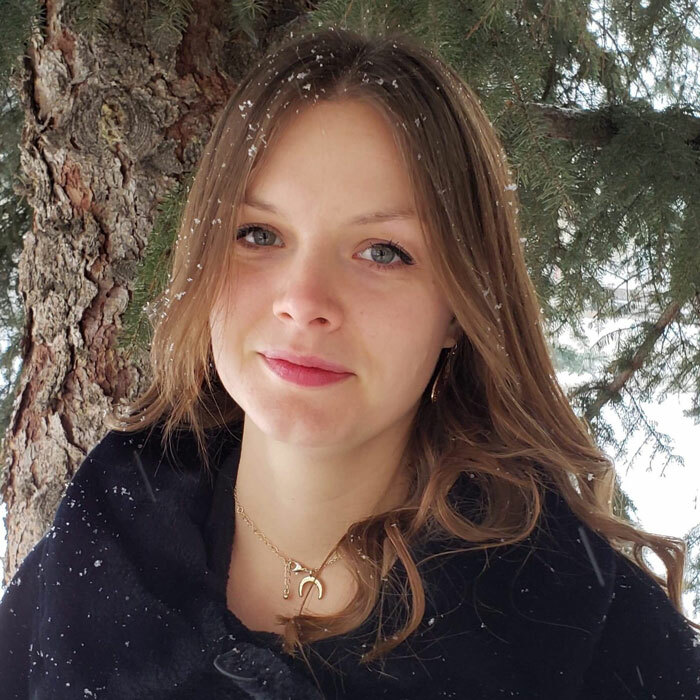 Cat is passionate about the environment—contact her to find out about her art products that are eco-friendly! Leslie is a local Lethbridge artist who creates artwork in her spare time. She is a Mother of three, and a Grandmother of two, which keeps her plate (and heart) full. She also works at a local restaurant as a server. When Leslie picks up a brush, she finds it relaxing, and uses the process as a way to refocus and recharge. Primarily self-taught, she continues to grow and refine her practice. We look forward to seeing more from this talented artist! 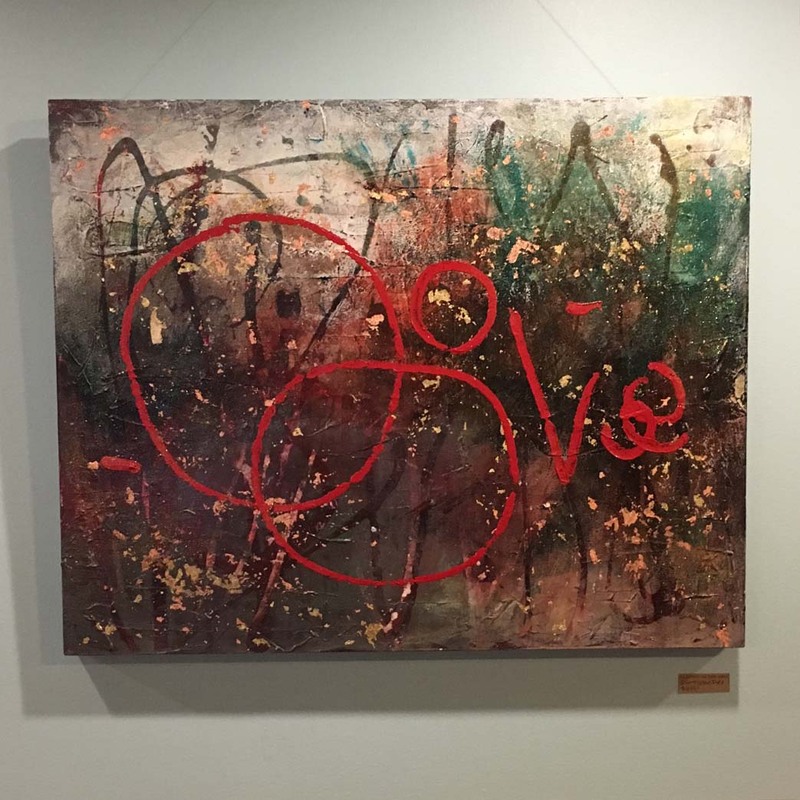 Dorothee is a Lethbridge artist who creates large, colourful, abstract, multi-media artwork. 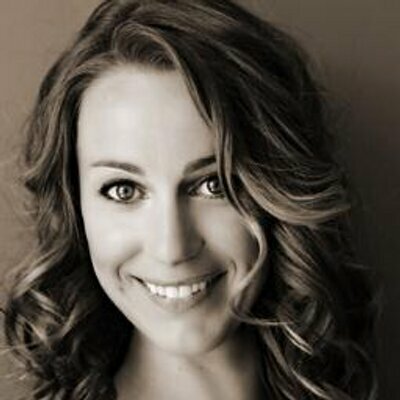 By day, she is an Innovation Specialist for Southern Alberta with BASF Canada, and is also a dedicated yoga instructor. She finds inspiration in travel, and loves to explore the globe. 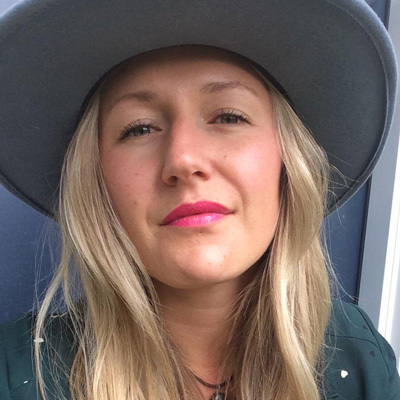 Dorothee is passionate about family, friends, art, yoga, wine, coffee, and agriculture. 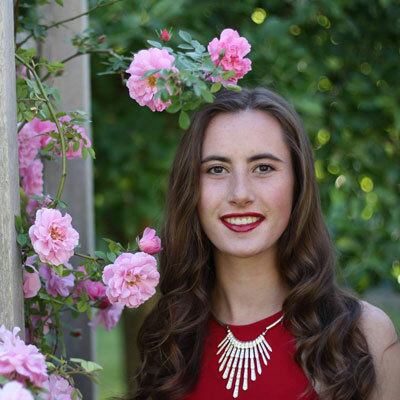 Kate Ventura is a local student, currently attending the University of Lethbridge for Sociology / Social Studies Education. Some of her hobbies include embroidery, pottery, and many other types of art. She loves to draw and paint using different mediums and techniques, with pointillism being her favourite. 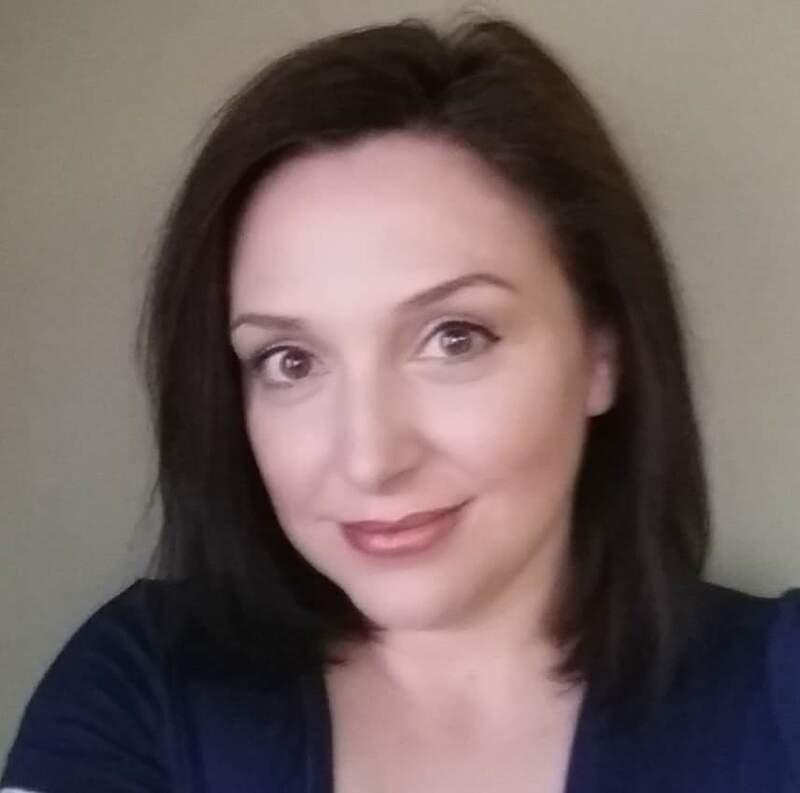 Laura’s artistic journey has been a long and windy road with detours via interior decorating, esthetics/makeup artistry, furniture restyling & collecting antiques. 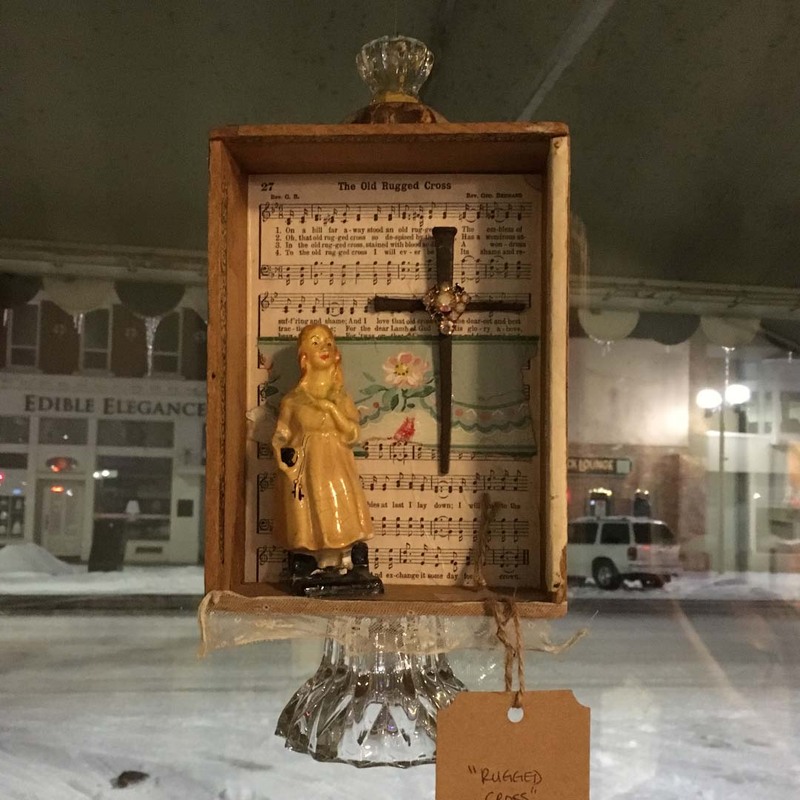 She has always been able to see beauty and purpose in junk and has been repurposing since childhood. It started with restyling the kleenex box and upholstering her mom’s noxema jar into a sofa and stool for Barbie. Her creations have evolved over the years but she’s true to her ADD diagnosis and has never been able to focus on just one medium or style. Her family calls her “jack of all” but she prefers “renaissance gal”. She definitely jumps around and experiments with mediums, styles and colour, but her work usually has a vintage feel. One thing she knows for sure, she truly longs for the days of old where simple beauty was appreciated and we cherished and cared for our things instead of just throwing them away. A time when even a simple sentence was a delicacy for the ears instead of our abbreviated language of today. She often uses poetry as a muse and considers her art painted poetry. Her secret desire is that we would all revert back to speaking like Lucy’s “Anne of Green Gables” or Jane’s “Elizabeth Bennett”… oh how divine that would be! art dolls, assemblages, collage, mixed media, paintings, repurposed anything and everything, furniture design, decorative accessories, restyled lighting, etc.